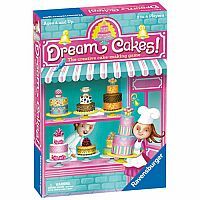 From sprinkles to swirls, Dream Cakes is sweet fun and with thousands of possible cake designs, deliciously different every time you play. 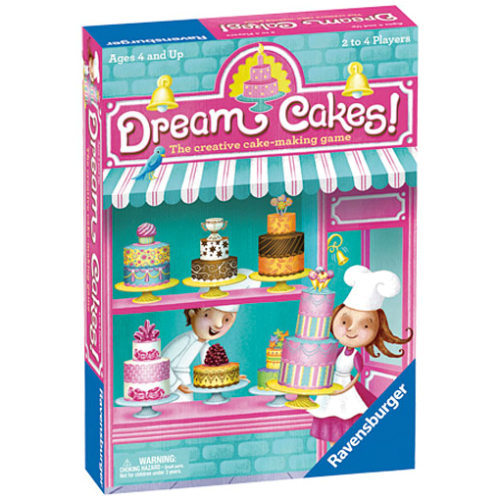 Players work on multiple cakes at a time - spinning the wheel to determine their pieces, stacking luscious layers and toppers to complete their cakes. 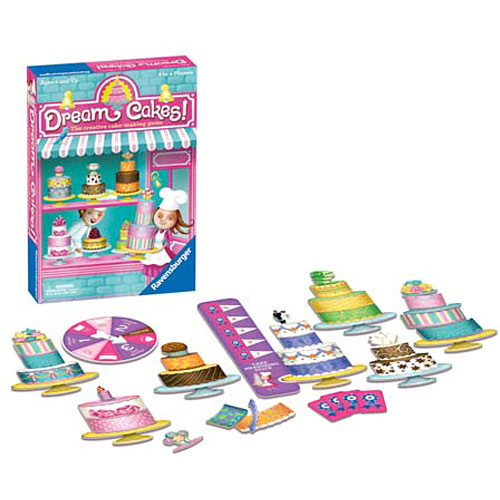 After each turn, players place the pieces they can on one of many cakes they are creating, following the specific order outlined on the package. Upon completion of a cake, players use the measuring stick to determine how many ribbon cards their cakes have earned. The player with the most cards wins! For 2-4 players. Measures approximately: 7.50 x 10.75 x 2.00 inches..